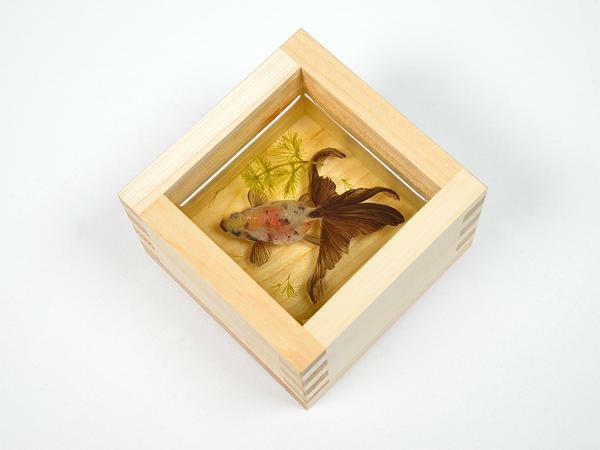 Goldfish artworks by Kingyo Sukui are delicate, painted sculptures made with wood, net, aluminum, epoxy resin, and acrylic. Goldfish are beautiful symbols and Feng Shui cures, perfect for decorating interiors and outdoor rooms. While adding natural feel and meaning to home decorating, the artworks bring beauty into life. 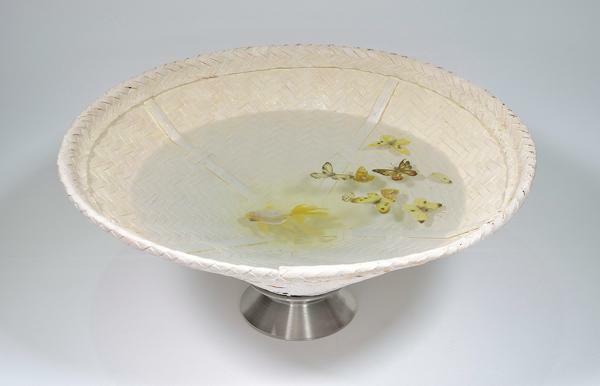 Lushome presents the charming sculptures which make unique gifts and decorative accents to Feng Shui a home for wealth. 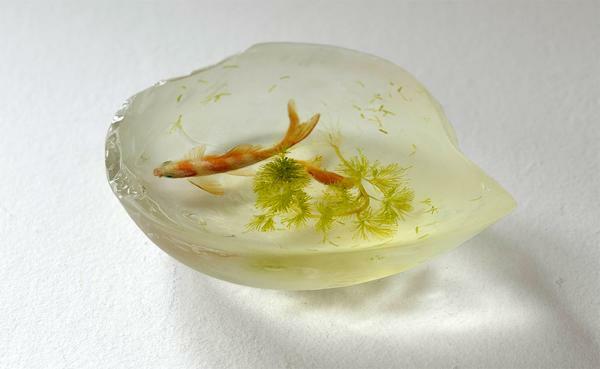 Riusuke Fukahori got fascinated and inspired by a goldfish, which despite being abandoned for seven years stayed alive. The artist called the fact Goldfish Salvation and started creating beautiful goldfish for decorating vases and wooden boxes. He enjoys diverse expressions of the goldfish theme. Fish are gracious Chinese symbols and Feng Shui cures for homes and offices. As a lovely sculpture with man-made alternations, goldfish look mysteriously charming and beautiful. The goldfish vulnerability and imperfections bring thoughts of nature and our instincts. Fish artworks evoke strong, positive energy which can Feng Shui home interiors and yards, attracting harmony, joy, and wealth. 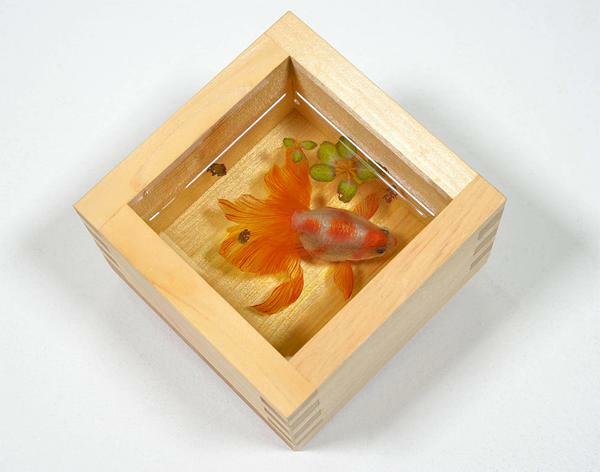 Goldfish art is not just natural, but charming way to Feng Shui a home for wealth. 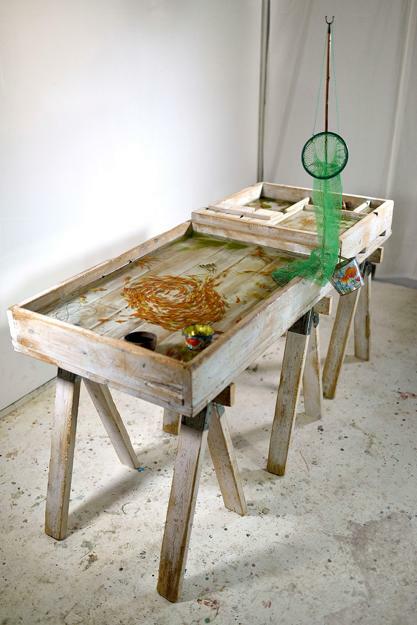 Home interiors and outdoor living spaces with goldfish in a pond are peaceful and beautiful. Goldfish show inherited mutations for more than 1500 years, continuously changing forms, keeping look gorgeous and inspiring. The mysterious pull towards goldfish never dies for people. 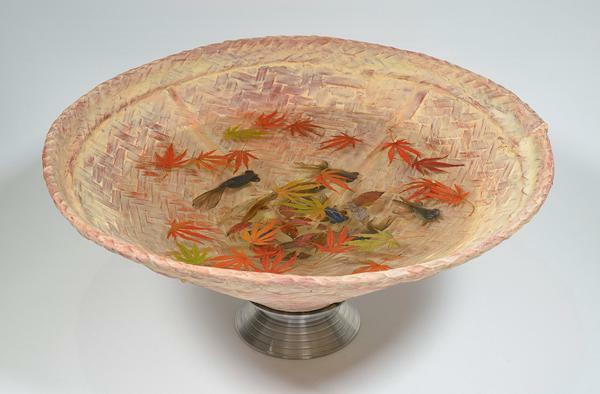 Where and how fish swim, and what they think, – these are the questions that the artist is asking himself when he paints these beautiful goldfish sculptures. The goldfish artworks are fascinating, elegant, and unique gifts and home decorations in eco style. The sculptures are available at Joshua Liner Gallery, joshualinergallery.com/artists/riusuke_fukahori/. Goldfish are powerful and delicate Chinese symbols to Feng Shui a home for wealth and balance life. According to ancient Chinese Feng Shui masters, goldfish breathe life into buildings and yards, bringing beauty and grace, balance and harmony into life.